Taiwan has enough attractions to indulge almost every traveler; there's enough shopping and nightlife in Taipei to satisfy even the most demanding shopaholics and socialites out there, and for those who like adventure there's the volcanic peaks at Yangmingshan National Park or surfing at Kenting National Park. Taiwan is also very family friendly with options at the Taipei Zoo, a trip on the gondola to see the mountain village of Maokong or an experience on Taiwan's high-speed trains. Taiwan is diverse and beautiful, the food is exceptional and cheap and its modern metropolises are comparable to Hong Kong and Seoul. But when is the time to visit this incredible place? Taiwan has a subtropical climate. It has wet, very humid summers when temperatures are in the mid to high 30s, and the winters are short and mostly mild, though temperatures can drop into single figures especially in the mountainous areas like Alishan. It is also worth knowing that the north generally tends to be several degrees colder, and a lot wetter than the more tropical south. Weather in Taiwan, the seasons. In general, autumn and winter (October - April) are the best times to visit Taiwan due to cooler temperatures, although, early summer (May to July) can also be pleasant in mountainous regions in the north. If you enjoy the sun, the high temperatures in midsummer will also make it a great time for watersports and beach activities but you might find it too hot for much else. This is when to visit Taiwan if you want to enjoy pleasant weather and fewer tourists. The weather is warm, but not too hot either. There will be some rainfall, but there shouldn't be too much of it. Towards the end of May and June, the rainfall starts increasing in frequency. Highlights: This is the best time to visit Taroko National Park, Yangmingshan National Park, or the Alishan National Scenic Area to enjoy the stunning blooms and the wonderful weather. Beautiful trails and good weather are a perfect match. Summer starts at the end of June and goes on till August. The temperatures go up quite high, and there can also be a lot of rainfall. The weather in Taiwan will be hot and humid, and June is the rainiest month. There is a chance of typhoons hitting too. Highlights: This is when to visit Taiwan if you are a beach lover. The beaches in southern Taiwan, especially those in Kenting National Park, are beautiful. Autumn in Taiwan is beautiful and the weather in Taiwan will cool down. The southern part of the country remains warm, but the north will get much cooler. There is also little to no rainfall during this season, compared to the summer periods. Highlights: This is a great time to visit south-east Taiwan, especially the beautiful Taroko National Park. For those interested in visiting the Sun Moon Lake, Alishan National Scenic Area, or the Yushan (Jade Mountain) this is the best time to visit Taiwan. Winter is low season in Taiwan and December is the coldest month in Taiwan, so expect things to get quite cold. However, if you compare it to European winters the temperatures are mild. Bear in mind that Taiwanese homes are not kitted out for cold like they are in the west so you can really feel the cold here. Highlights: The biggest attraction of this season is the hot springs. Taiwan has over 150 hot springs, most of which are located in the beautiful mountains. 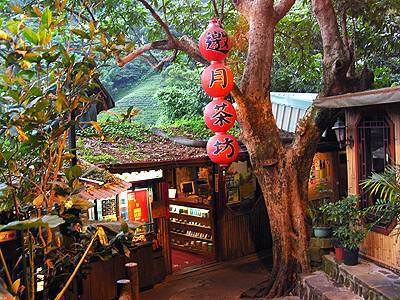 Beitou is one of the most popular hot springs and is a must-see for those visiting Taiwan. There are charming mountain retreats at Yangmingshan National Park too. The Chinese New Year (February) is a huge celebration all across the country, so expect a lot of shops and restaurants to close at this time. Weather in Taiwan, the rain seasons. Taiwan has a lot of rain. The northeastern monsoon lasts about six months from October to late March and brings wet weather to Keelung and the northeast side of the island, while central and southern regions stay relatively dry. Then the southwestern monsoon starts in May and ends in late September, primarily affecting the south. Typhoons can also affect Taiwan in the summer with an average of two to three hits a year. There's also the annual plum rain season which can last for two months between early spring and early summer and affects the whole island. Weather in Taiwan, a Quick Guide. October to late March = rain in the north. May to September = rain in the south. Summer (June to August), very hot weather especially in South. Typhoon season and rain in the south. Winter (December - March) , sometimes quite cold in the north while south is mild. North can be rainy. Fall (September - November) , there is less rain and temperatures are fair , colder in North and warmer in South. Spring (April to June) mild weather and warming up but not too hot yet. Less tourists at this time too. Escape the big city for the day and soar through the sky, over the forests, to Maokong Mountain. It makes for a wonderful day out and it's right on Taipei's doorstep. Maokong is a region southeast of Taipei City and is famous mostly for its tea plantations, but in recent years it has grown in popularity for its traditional tea culture, and for viewing Taipei City at night. A trip to the hills of MaoKong is a family friendly full-day event that can include a visit to the zoo to see pandas, koalas, and over 130 bird species, a cable car ride, a temple visit, something to eat and some tea with a view overlooking Taipei city. The Maokong Gondola has 4 different stations, the highest one reaches a point of over 200 meters. You will find the first station is just a short walk from the Taipei Zoo MRT station and is part of Taipei’s MRT system, so you can use your Easycard Cards to pay. The ride is incredibly cheap and only costs about $1.65 USD each way. You can get a bus to the top but it is a winding bumpy trip, and not worth it unless you are afraid of heights. The Gondola runs most days, except for Mondays and on days of extreme weather. Arrive early in the day to avoid lines or visit the gondola during the week when the lines are much shorter. If you don't mind the wait, there are glass-bottomed cars for an enhanced experience, but the line is long and apart from the glass floor, the view is the same as the regular cars. Maokong: What to do there. Once at the top, there are food stalls near the Maokong Gondola station serving all sorts of delicious finger foods. If you walk further, however, about 10 minutes, you will find a number of restaurants where you can sit and enjoy the views. The Liu Xiang tea plantation is perched high near the top of the valley and offers sweeping views of the plantation. You can try some of their teas or buy some to take home with you. Lower down the hill on the main road that circles the valley is Yao yue teahouse, which sells similar teas and foods at similar prices. Yao yue however is hidden among the trees and ferns and has a stream. You can also buy their tea. Chang Nai-miao Memorial Tea Museum: If you have the time, you can do a tea-tasting and admire handmade teapots . Chang Nai-Miao was a pioneer tea farmer (from Japan) who taught Maokong residents Baozhong tea planting. Tea Promotion Center : Also offers free tea tasting if you are on a budget. You can see how tea is made and enjoy the scenery but the display area is quite small. Hikes and trails: If you enjoy hiking, grab a hiking map from Maokong Station and hike up higher into the mountains. Follow trails to the top and see the wooded forests of Monkey Mountain. Zhinan Temple: Hop off the Maokong Gondola at the Zhinan Temple stop (third stop), you will find the Zhinan Temple a short walk away from the station stop. Zhinan Temple, also known as Xiangong Temple, is located at the peak of Houshan (Monkey Mountain). The temple incorporates elements from Confucianism, Taoism, and Chinese Buddhism and is one of the most revered temples in Taiwan, showcasing beautiful interiors and amazing views. You can also hire a docent to give a tour of the temple in English. The Taipei Zoo: Taipei Zoo ( Gondola stop one), and Taipei Zoo South, (Gondola stop two) can be visited on your way up to Maokong. Taipei Zoo is a fun and interesting way to start your day, especially if you have children. The zoo is the largest in Asia and home to Yuan Zai the panda. There are also many other interesting animals including koalas so go in the morning to give yourself time for everything. Maokong: How to get there. The gondola closes at 9:30 pm. Remember the trip is about 30 minutes one way. Check the weather forecast before you go. Taipei Day Trips: How to get to Taroko Gorge. One of the most beautiful areas to visit near Taipei, is the white marble cliffs of Taroko Gorge. Well known for its abundant supply of marble, its mountains, and the beautiful Liwu River; you can enjoy hiking, biking, river bank exploration, or admiring its spectacular views. Whether you are a serious hiking enthusiast, or a large group or family, Taroko Gorge has something to offer everyone, and it is possible to see it in a day. Here's how to get there. The train from Taipei to Hualien station takes around 3 hours (including a bus), so you could leave the city at 6 am and leave Taroko around 6 pm and get back to Taipei by 9 pm. This station has the largest frequency of trains from around the country so it’s most likely that you’ll come here as it is harder to get a ticket for the less frequent trains that service the other train stations near Taroko. Taroko Gorge main entrance is about an hour away from Hualien, but you can catch a public bus that will take you right into the park. Train tickets to Hualien Station from Taipei Main Station can be bought online two weeks in advance. Follow this link for timetables or to purchase a ticket. You can use your confirmation and passport numbers to print out your ticket at any 7/11 in Taiwan. There are 4 trains from 07:00 am - 07:40 am, leaving from Taipei Main station and will arrive Hualien station about 09:21 am, 09:25 am, 09:39 am and 10:01 am. It costs NT$440 per person. Once in Hualien, buy an all-day bus ticket for the Taroko Shuttle Bus. When you exit the station, make a left and walk all the way down the street until you see a bright orange building across the street. This is where you can purchase an all-day ticket for NTD $250. If you prefer to pay cash on the bus, a trip from Hualien to Taroko costs between NT$ 100 and NT$ 200 depending on how far in you go. If you go this route remember to have change, as bus drivers will not give any. Xincheng is a small town located nearby the front entrance of Taroko National Park and therefore is closer to Taroko Gorge than Hualien. However, the Taroko Express trains don't stop there. An option is to catch a local train to Hualien that stops off in Xincheng (not an express). It will cost around NT$ 283. Tickets can be purchased from the TRA counter at Taipei Main Station but it is advised to book the tickets 2 weeks in advance online, as they sell out. You can take a Tourist Shuttle Bus from Xincheng Railway Station to the National Park after getting off the train in Xincheng. The bus boarding point is just outside the train station. The traveling time should be around 10 minutes. To get on the first tourist shuttle bus from Xincheng to Taroko National Park at about 9:00 am, you should take the 6:25 am bus from Taipei. You can only visit the park during the day, so it’s best to start off early and make the most of it. Tianxiang is a village located towards the geographical center of Taroko National Park and the last stop for most visitors. It is, therefore, a convenient way to return to Hualien train station or Xincheng train station. At Taipei City Hall station ground floor, go to bus counters to buy combo tickets for a bus to Luodong station and a train tickets to Hualien. Buses stop 30 meters behind Luodong station. Walk into Luodong train station and show your combo tickets to tickets counter and staff will give you train tickets for next available local train to Hualien. When leaving Hualien, buy combo tickets at Hualien station and take the train to Luodong station. Walk out back of the station to bus counters, show your combo tickets and staff will give you tickets to take your bus to Taipei City Hall Station. At Taipei City Hall station, go down to MRT platform to take MRT to Taipei Main station. When leaving Hualien, buy combo tickets at Hualien station and take a train to Luodong station. Walk out back of the station to bus counters, show your combo tickets and staff will give you tickets to take Kamalan bus to Taipei Main station. Hiring a car to see Taroko might sound great but beware, Taipei to Taroko Gorge is about 165 km of narrow winding small roads and heavy truck traffic. There also aren't many English road signs, parking is expensive and difficult to find, and you have to constantly be on the lookout for scooters cutting in front of you without warning. Additionally, Taiwan drives on the left, so for those that are not accustomed to left-hand drive, this could be an added stress. Consider a private driver who will know the best spots, and can drop you off if there is a parking issue and collect you when you need collecting (even in a different location if you want to walk). This will save you a lot of trouble. You will find many cab drivers in Hualien who will offer private tours and generally they will be trustworthy, but for peace of mind consider Ding Taxi or Own Rides for affordable private tours. You will be able to select your own itinerary and the guides come with experience and can speak English. Taipei day trips: Taroko Gorge. Although it is best to see Taroko Gorge National Park over a couple of days, it is possible to visit it in a day, if you plan well.The National Park is world famous for its beautiful scenery and massive marble walls and has mountains that reach well over 3000m, making it a definite must see even if you only have a day to spare. The gorge is located outside the quiet town of Hualien on Taiwan’s east coast and it's fairly easy to get there from Taipei. Check out our article, Taroko how to get there, for more information. Somethings to consider before you head off. If you are planning to see Taroko Gorge in a day, do consider the sheer size of the park and hire either a scooter or a tour guide. Don't expect to be able to walk it. Just driving through Taroko Gorge is an attraction on its own and you should plan to spend your day with this in mind, regardless if you get to see everything or not. Rushing to see everything in a day can be stressful. You won't find many places to get food in the park so pack your own or stock up at the 7-11 just before the park entrance. Taking the bus around Taroko Gorge is definitely the most budget-friendly option, with all day ticket going for 200 NTD. The bus frequencies are every hour so you’ll have a bit of time to explore each area before moving on to the next place. If you take a bus, however, you must consider the time you will be waiting for a bus when you plan your itinerary. Car hire might be the most comfortable and flexible way to get around the park, but parking can be difficult due to Taroko Gorge being a very popular tourist attraction. Not the best option if you need to save time. Like hiring a car, hiring a taxi for the day is a great option to consider if you don’t want to worry about bus schedules. it also has the added bonus of not having to worry about parking as the driver can simply drop you off and collect you when you wish. This is fairly expensive, however, but fine when shared among a group. Much quicker than walking, much more budget friendly and a bit more active and exciting than taking the bus. Unless you have a load of time or just want to check out a few trails in the same area, walking through the park is not recommended. Shakadang Trail or Mysterious Valley Trail: A very easy but beautiful walk along the turquoise water and white marble boulders of the Shakadang River. It is the first stop after the visitors center, at the exit of the Shakadang Tunnel. There is a parking lot here and a bathroom. There are also still some local tribes that live close to the trail selling delicious food along the way. The trail will take you about an hour and a half. Eternal Spring Shrine: Is about a kilometer away from the Shakadang trail. The shrine is built around a natural spring and is very picturesque with views of the mountains, a waterfall, and the shrine. However, since you aren’t allowed into the shrine, the best view is from the parking lot. Do arrive early before the crowds, it gets very busy. The Bell Tower above Eternal Spring Shrine: It takes about 20 minutes walk through mountain tunnels to reach the Eternal Spring Shrine but if you continue 2.2 km behind the shrine there are steep stairs called the “sky ladder”, leading to the Bell Tower, a suspension bridge, and Changuang Temple. The trail offers spectacular views and is crowd-less. It will take about 50 minutes to an hour to do the entire loop and it is relatively easy but steep and slippery if it has been raining. Swallow Grotto: These marble cliff faces are home to swallows who dart in and out of the natural holes in the rock. If you come here in the early morning or late in the afternoon, you can see swallows hovering to catch insects. The path here also provides stunning views of the river and a narrow gorge, it is also an easy walk so it is suitable for the whole family. There are caves to view here so remember to hire a helmet at the visitor's center if you would like to see them. It is a popular tourist stop, so expect the crowds and try to get here early. It will take you about 50 minutes to an hour to complete. Tunnel of Nine Turns: This offers one of the most magnificent views of the gorge. the Tunnel of Nine Turns features strangely-shaped rocks and steep cliffs. With an altitude of 1,660 meters it is really spectacular, but take a torch as it gets dark in parts. This is one of the most amazing parts of the gorge but unfortunately, at the moment it is closed however because of earthquakes. Go here for updates. Cimu Bridge: The Cimu Bridge is the only bridge in Taiwan that was built of marble obtained from Hualien. It also showcases the most magnificent views of Taroko Gorge's massive marble walled cliffs. Cimu bridge is a good stop before you head off to the Tunnel of Nine Turns and there is free parking available on the east side of the Bridge. Tiansiang: Located at the west end of the gorge, Tiansiang is a tiny picturesque village where public buses stop and are about the only place in the park to find restaurants. It’s a good place for lunch if you didn't bring. Some of the most interesting trails also can be reached via Tiansiang. ChingShui Cliffs: One of the most popular places in Taroko National Park and 5 kilometers in length. It is also the highest coastal cliff in Taiwan and is easily accessible by car or scooter. You can see different colors in the ocean due to the temperature difference between the cold and warm currents. The cliffs are Located along the Su-Hua Highway connecting Hualien and Yilan within the park. Wenshan Hot Spring : Wenshan Hot Spring is a natural outdoor hot spring, with a cold stream nearby so you can enjoy the best of both worlds. It is located about 2.5 kilometers past Tianxiang and is easily accessible by scooter, but you could also catch any of the buses that terminate at Tianxiang and walk the rest of the way. There is a small parking lot just before a tunnel. Tianxiang: Is a small village and often a final stop for visitors as you can catch a train from here to Huilen or to Xincheng. It is a good place to finish your day. What to do : Half day hikes. If you would prefer to skip the tourists and head off on a more strenuous trail, there are numerous half-day trips in and around the gorge. The hiking trails in the park are spread out so it’s best to choose a few that you think look good before you go. Don't think you can see it all on foot, you can use the public bus service to get between trails.Just remember you do need permits for some of the hikes (but none of ours). The Baiyang trail : The entrance of the Baiyang Trail is located about 300 meters from Tianxiang on the Central Cross-Island Highway. There is a tunnel at the beginning and along the trail, there are six tunnels of different lengths. The longer tunnels have solar-powered lights which can be quite beautiful to see. A turn in the trail at the end of the third tunnel offers an excellent view of Tijili River, and the end of the sixth tunnel is a view of the beautiful Baiyang waterfall with the suspension bridge in the foreground. A seventh tunnel leads to a cave behind the falls, but because of the danger of falling rocks, this area is closed to the public. The trail takes about 1.5 hours. Water Curtain Cave: The water curtain cave is located at the end of Biyang Trail. It's an easy 2.2km walk from the trail entrance and the cave is about 100 meters long with various natural cracks on the roof where water sprays through like a shower or ‘water curtain’. It is thus a good idea to bring along a raincoat and a torch as it gets dark. Baiyang Waterfall is located 200 meters before Water Curtain Cave, on the same trail. Trail time: About 2 hours for the round trip. Chingxi Suspension Bridge: is the longest suspension bridge in Taroko National Park, with views of mountains and the river and is located 10 mins away from the trailhead of Lotus Pond Trail (see below). Be careful, however , you need to be fit. The trail takes about 2 hours. Lotus pond: is located at the 168-kilometer point of the Central Cross-Island Highway. The pond is about 500m in diameter, but sadly there are no longer any lotus plants here. The beginning 1.5 km of the trail is easy, and you will cross Jiumei Suspension Bridge. The trail becomes steeper however after this and is about 2.2 km, passing through a forest area to the pond. Do consider your physical limits before setting out. The trail will take about 4.5 hours to complete. Once the largest port in Taiwan, and only a 40-minute subway ride from Taipei, Tamsui is the perfect day trip. The area is famous for its historic buildings and beautiful sunsets and offers something rather laid back for those wanting a day out of the city. People come here to stroll along the water's edge and through the old streets, they cycle, have picnics, and then watch the sun go down over the river. Regardless of what you choose to do there, Tamsui offers a variety of activities for the whole family and with plenty to eat, you're guaranteed to have a wonderful day. The best way to get to Tamsui from Taipei is by MRT, traveling on the red line to its northern end, Tamsui Station. Most of the city in Tamsui is easily accessible on foot from the MRT station. Turn left as you exit the station and then right along the river. Ferries that cross the river to the town of Bali and the Fisherman's Wharf, depart from the Tamsui Ferry Pier. There are also sightseeing boats, that go along Taiwan's northeast coast and along the Tamsui (Danshui) River, that depart from Fisherman’s wharf. Tickets are NT$50 to Bali and NT$100 to Fisherman's Wharf. The R26 bus will take you from Tamsui MRT Station to Fort San Domingo or Fisherman's Wharf. You cannot walk here. YouBikes are a large network of bicycle rental kiosks around Taiwan. They are well maintained with headlamps and lights and even have adjustable seats. You will need to register online if you plan to use an easy card to hire one, but it is free and easy to do. Tap your EasyCard on the dock to automatically unlock the bike. You can also use a credit card instead of an easy card in the same way. The Old Street and waterfront is just 5 minutes walk from the MRT station. As you exit the station turn left and you will see the river in front of you. You will be able to walk along the river before reaching the old street. Be careful not to miss it, however, there is also a lot to see on the waterfront. Old street is one street up from the waterfront once you begin to see the food stalls. Like many Old Streets in Taiwan, Tamsui old street has many stores selling souvenirs, handicrafts and lots and lots of food. Danshui has a specialty food called Ah Gei, which is basically tofu stuffed with glass noodles in a spicy sauce, they are worth a try. Fish dumplings, fish ball soup, prawn or fish strips and fried squid too are other favorites as well as iron eggs. As you walk along you can see a few temples, old houses, and even some churches, but keep an eye out for the street can get really busy. 2. Fisherman’s Wharf and Lovers’ Bridge. You can either take bus 26 (from the MRT station) or a ferry ride (from the pier behind the Old Street) to the Fisherman’s Wharf and Lovers’ Bridge. Both trips will take about 15 minutes. Tamsui Fisherman's Wharf is located downstream from Tamsui town center and has a boardwalk, coffee shops, and seafood restaurants. Fisherman's Wharf is also a departure point for tourist boats traveling along Taiwan's pretty northeast coast. "Lovers’ Bridge", is also at fisherman's wharf and is modeled after a sailing ship's mast. It is illuminated after sunset and then changes color, making the area very inviting in the evening. Fort San Domingo was constructed by the Dutch and also served as the British Consulate in the late 19th and early 20th centuries. Today it is a museum with beautiful views of the river and is open Tuesday to Sunday, 9 am – 5 pm and costs NT$80. Ownrides: the Uber of custom tours. With none of the hassle and stress of planning a trip or being restricted by a pre-planned itinerary, Ownrides is an online platform for tourists to customize their private tours through booking drivers directly and affordably. Prices are quoted instantly, there is flexible pickup time and a driver with tour experience is provided. No more squeezing on crowded trains or waiting around for buses to arrive. Its safe, affordable and it's super easy! Ownrides offer not only destination information, but also gives you local perspective through their online support. On their site, you can talk to someone who will help you establish the best itinerary for your needs, and you can build your plan step by step online with the estimated times and dates and locations on a map. Furthermore, Ownrides not only make sure your trip is as smooth and comfortable as possible, they also promise you professional and quality private drivers; only professional drivers who are licensed and have more than 5 years of driving experience are selected. Simply go to their site and opt to either take a look through their most popular itineraries which can be customized to your preference or simply build your own itinerary from scratch. It is really easy and clear to use. Ownrides will find a suitable driver for you and you can choose a vehicle from the list of car options. Select your preferred language, Chinese or English ( an extra NT$ 300 for English). You will see all your charges on the right-hand side of the screen. Each itinerary has its own fair price, calculated to include the fuel cost, highway toll and parking fee required for the itinerary. There are no hidden fees and you don’t get charged for anything you don’t need. Save your trip for later or proceed to payment and input time and date. Once you have paid the deposit you will be sent the drivers details and communication is very easy, either through your profile on the site or via Viber, Whatsapp, Messenger or LINE. Modification to tour should be discussed with the driver directly and is possible. 3. The Golden Age tour. Also known as Taiwanese omelet, danbing is a soft scallion pancake with an egg fried on top and then rolled and chopped up. You can eat it like that, or add fillings of your choice: cheese, bacon, corn, pork floss… even hash brown is an option! P.S Try it with some soya sauce or chili save for a bit more flavor.